Perhaps you’ve heard of the term SEO but never quite understood the meaning. SEO stands for Search Engine Optimization, and it’s the umbrella term used to make your website, and all its content, visible on a search engine’s result pages. Search Engine Optimization can be broken into two segments – on page and off page. IVC Productions, LLC, can assist in helping you develop both. 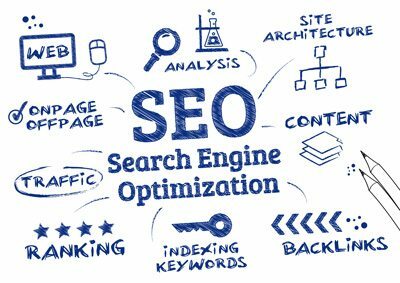 On-page SEO (also known as “on-site” SEO) is optimizing different parts of your web site that affect your search engine rankings. It’s the things you have control over and can change on your own website, including: title tags, headings, the URL structure, page content, internal linking and ALT text for images. Off-page SEO (also known as “off-site” SEO) focuses on increasing the rank of your website on the search engine result pages, by link and brand mentions from other websites. IVC Productions, LLC will help you increasing the number and quality of backlinks, improve your online reputation, assist with social media marketing , and pay-per-click management which will increase your rank in search engine results. Get more clicks, calls & new clients with your trusted Local SEO Experts: We help you to manage your local visibility, track activities transparently, get reports & view performance of your campaign. Leverage our Award Winning SEO Strategies: We help you manage your visibility, track activities transparently, check rankings & visits and get performance reports for your campaign. Boost your presence, improve your reach & get new clients with your trusted Social Media Experts: We help you to manage your brand’s performance of your social campaign. Get more conversions, calls & new clients with your trusted Local PPC Experts: We help you to boost your ROI, track activities transparently, get reports & view performance of your campaign.